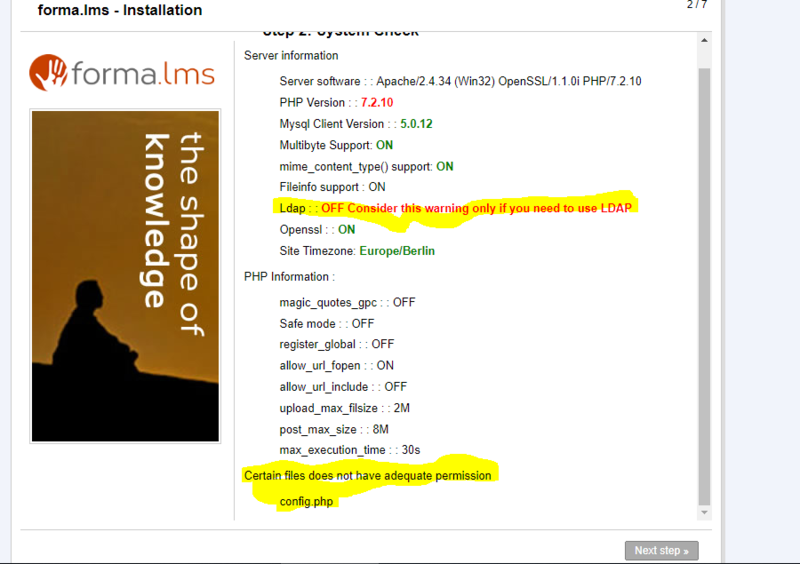 I have recetnly downloaded he form LMS version 2.0 and I am trying to install it via Xampp. But somehow I am unable to complete the installation process. when I try to install it the first step goes successful and the second step always got stuck. I am having following errors. The highlighted rows are warnings not errors.